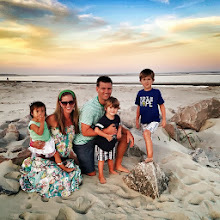 So, during Meili Joy's adoption process, I started making these nest necklaces as a way to supplement the agency fees and all the travel expenses. 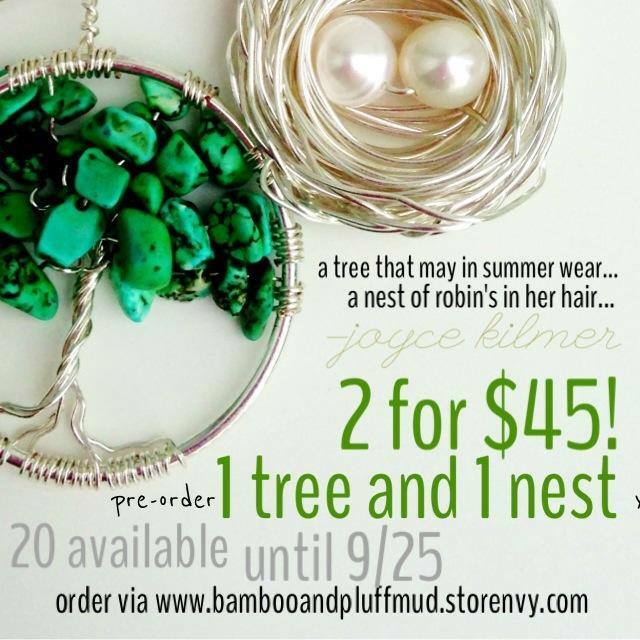 These nests have become incredibly special to me and I have been so blessed to get to send them and sell them to so many families. 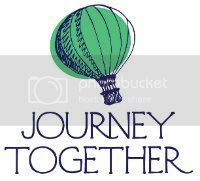 As we explore options of extra income for me in this new season, I am ready to relaunch this store. 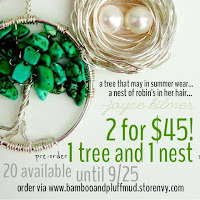 I officially launched the Rooted Pendant line by Bamboo & Pluff Mud the first week of September. Photos of available or pre-order pendants are now on our Storenvy site. However, I post additional photos on Facebook and Instagram as well. The nests are made on silver or copper wire. I carry some gold wire from time to time. My beads and pearls are usually 8mm in size. I use the round style beads and some of the more egg shaped fresh water pearls. 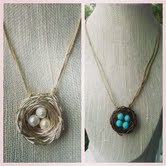 Each nest comes on an 18" hemp chain. By request, I can send a pendant only at the same cost with a hook. I don't carry silver chains in stock at this time; but may occasionally post them when I make a premade nest and post it for sale. You can find these at Michaels or Hobby Lobby starting around $3-$5. I can add almost any number of eggs. I carry smaller beads in the ivory pearls and on occasion, I have some of the smaller colored beads. However, a lot of times the smaller beads won't thread on the wire, so that is why I don't carry a lot of variety in the mini beads. 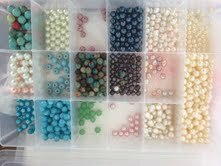 Colored Beads: I have a bunch of colored pearls in stock that I've posted. The mixed beads in teals and blues vary on being in stock. I can't guarantee that I will ever have the same bead combo in the mixed colored beads. Also, there are certain beads that look better in colored combinations than others. For instance, on my facebook page, I've noted what colors look better in a mixed combo. I will be happy to send a private message of sample beads. Sometimes the color is easy to see and sometimes it's not. For instance, the copper wire can look very light in person and very dark in a shaded room. That's the unique style of these necklaces. Many people choose to order the beads based on a symbolic number. If a family is having their first child, sometimes they start with a nest of 3. Sometimes a symbol of one little bird egg. Grandparents may choose nests symbolizing all their grandchildren, etc. 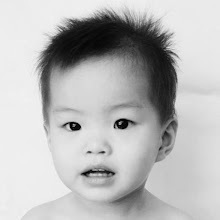 I've had nests ordered for symbolism of miscarriages and foster children. I am extremely honored to weave this memory into a tangible symbol.